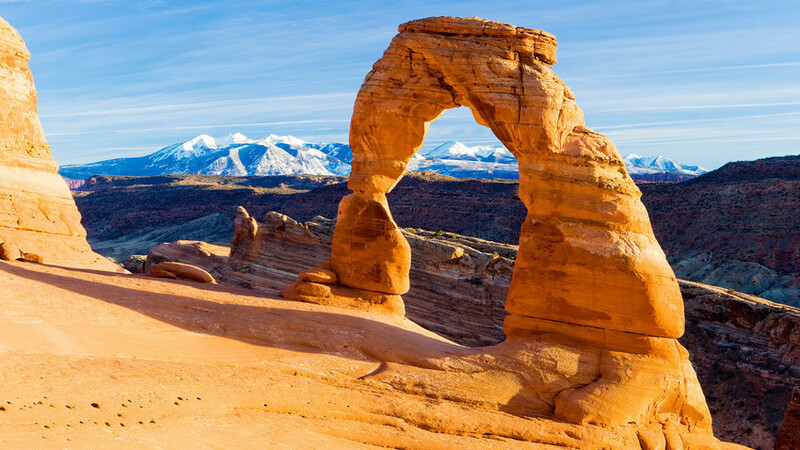 What's the origin of the beautiful natural arches and bridges of the national parks in Utah in the U.S.? How's it possible that wind and water create such spectacular forms? Mathematical modeling shed light on how erosion changed the shapes of land and stone. The stability and engineering precision of natural arches have fascinated scientists for ages. The phenomenon may not be limited to Earth’s surface: similar landforms might also be common on Mars. Until recently, there was no convincing explanation of how erosion created such unusual forms. Researchers at Skolkovo Institute of Technology (Skoltech) decided to find out the reason with the help of mathematical modeling. In their work scientists proposed that erosion is the process of shape optimization, and showed that it is locally minimizing the elastic strain energy stored in the rock bulk. The formation of columns, arches and other exotic morphologies was illustrated in numerical modeling, using software developed earlier at Skoltech. The results of the study have been published in Nature Scientific Reports Journal. "The mathematical criterion for material removal used in engineering is almost exactly the one that follows from the physics of the erosion process," said Skoltech research scientist, Igor Ostanin, the study’s lead author. When the natural structure is formed, the rate of erosion drops dramatically because it does not contain any more unstrained and inefficient material. That's why the structures that were initially eroded at rates observable with the naked eye, as time passes remain stable for millions of years.